If you’re buying email lists that you’re not sure that you’ll get any real clicks, sales, or engagement, stop buying them. Cold lists don’t do anything but make you waste your time. Sure, you may get a few clicks, but they probably bounced quickly off of your landing page or website. I’ve been running into people that are buying such lists out of desperation. On top of that, they aren’t building their blog or engaging on social media. They aren’t even networking. How can you get clients if you don’t rub elbows with them? Email lists can do that, if you bring in the right people – the ones actually interested in what you are offering. Sure, you need to grow a list, but that list has to be truly interested in what you have to say and offer. That’s why blogging and social media have become easier modes of communication to attract people to subscribing to your email lists. So, those empty people aren’t coming back to your website, they aren’t contacting or engaging with you, and they’re not buying from you. So… essentially, you’ve wasted your money and your time. Might as well call it expensive practice. That’s the reality check you’ll face, or have faced. If you have bought before, stop it. If you’re considering on buying a cold email list, don’t do it. It’s as simple as that. Instead look within your website and social media handles to see how you can better reach people. Are you creating unique and quality content that people are interested in? Are you using keyword research to find out what people surfing the Internet are looking for? Are you making it obvious that you’re building a list? Are you making your newsletter interesting enough for people to be enticed to subscribe? Are you actively sending out newsletters to your lists? 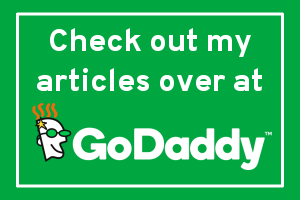 Are those newsletters driving traffic back to your website? These are all questions you need to be able to answer. If it’s no, then you have homework to do. 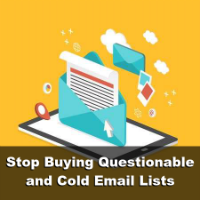 Have you ever bought a cold email list? Share your story and what lesson you learned below in the comments. You have covered a really great topic. Because near to me the biggest blogging mistake I have did in my journey was that I haven’t focused on my email list from the day one. Buying an email list doesn’t work and do not generate as much leads as your own can. Because, pre-made email lists don’t contain much-targetted traffic and you aren’t sure that how many emails from them were still active. I always advise to go with creating your own email lists so you will have a list of targetted and niche related people only.